The Wilson’s dog menu—served only on the patio—includes a 16-ounce ribeye steak with grilled baby vegetables, and pan-roasted salmon ($26) for “dieting” doggies. A box of sliced apples and carrots costs $11. Haskell tells Forbes the dishes are designed to be shared between human and dog, though that’s still a pricey meal to share with an animal that would probably scarf a squished french fry off the sidewalk if the opportunity presented. And aside from chocolate or other foods toxic to dogs, can’t humans share almost any meal with their dog if they’d like? Perhaps I’m just out of touch by feeding my dog… uh, dog food. (I’ve never heard any complaints.) People are willing to pony up for Instant Pot doggie meal kits, and some enjoy the experience of cooking for their pets from specific canine cookbooks. 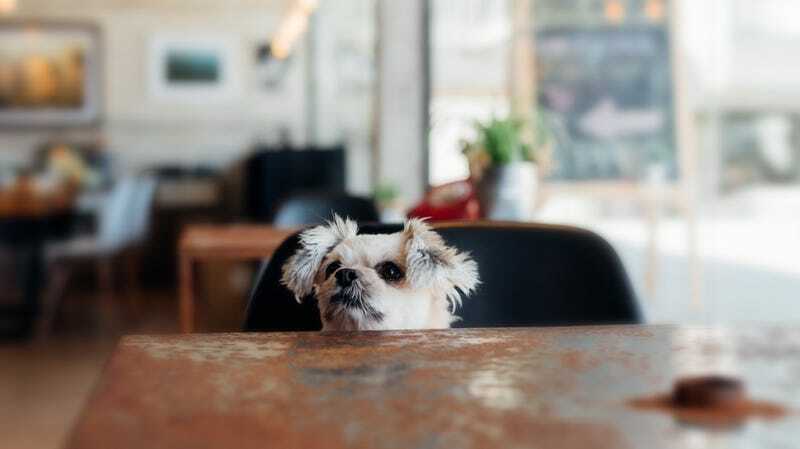 Vegan pet food has also emerged as its own category, so restaurants were only the next logical step. If your pet is thirsty, by the way, there’s dog beer for that.